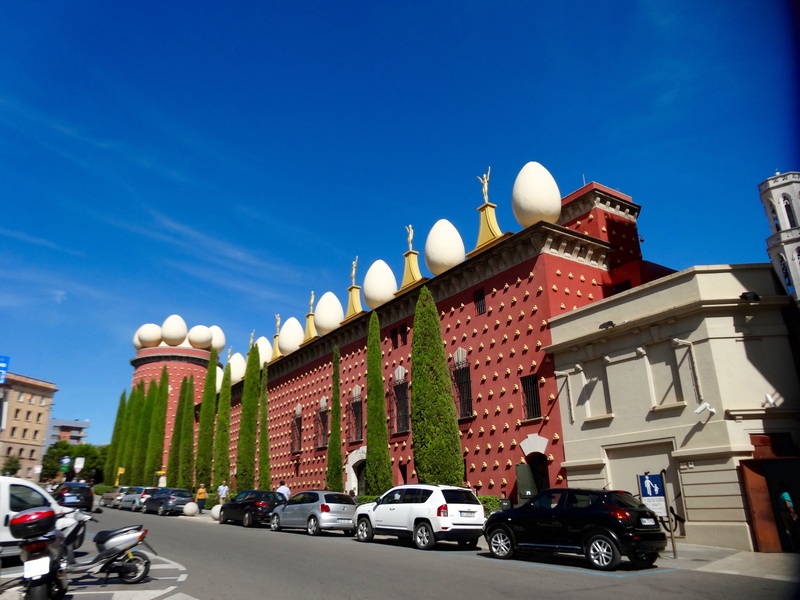 On Saturday we headed to Figueres to visit the Salvador Dali Museum. We were also interested in visiting his home and studio but we discovered that we should have booked tickets online for that and they were all sold out for today. 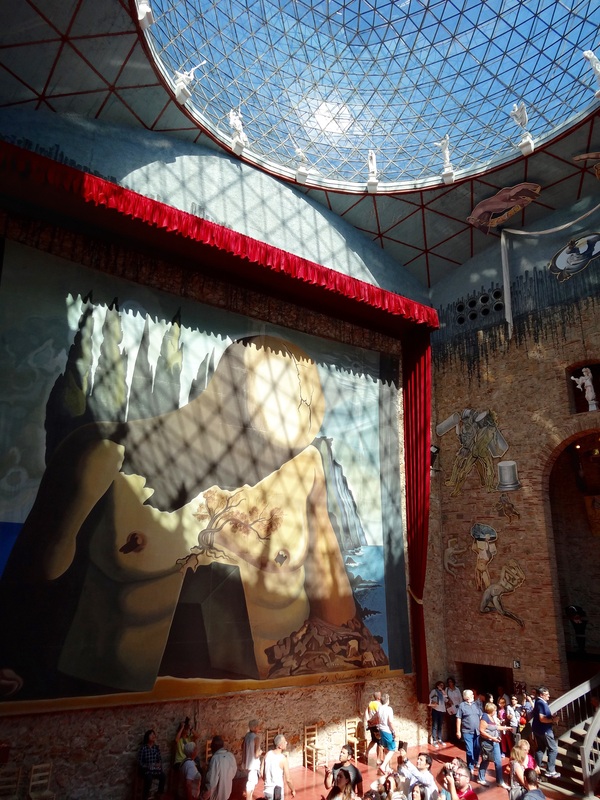 The Teatre-Museu Dali is located in Figueres’s old Theatre and it is the second most visited museum in Spain after the Prado. It is a pretty fantastical building. Dali built this museum on the site of the burned out Figueres Theatre. He started working on it in 1960 and didn’t finish until 1974. 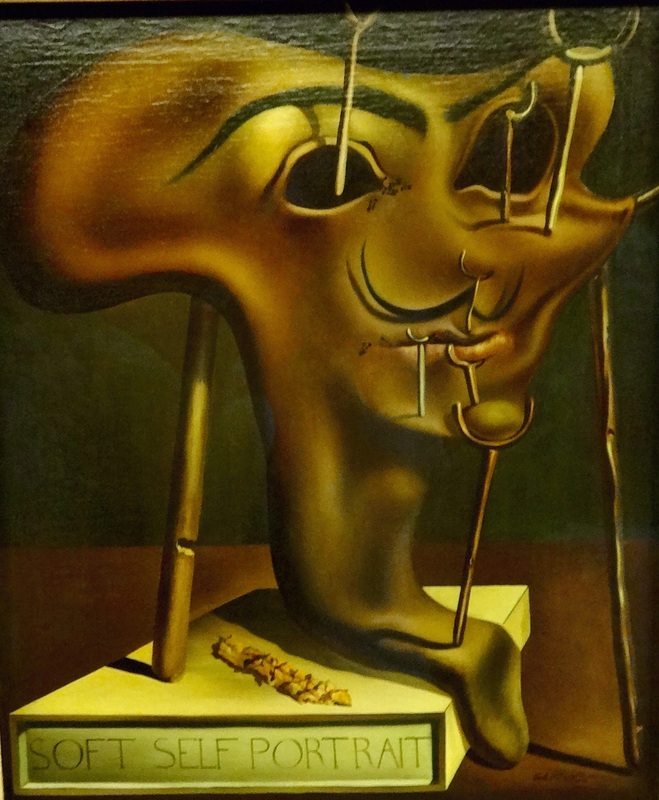 It is Dali’s largest work of art. He designed the building and it contains many of his artworks. 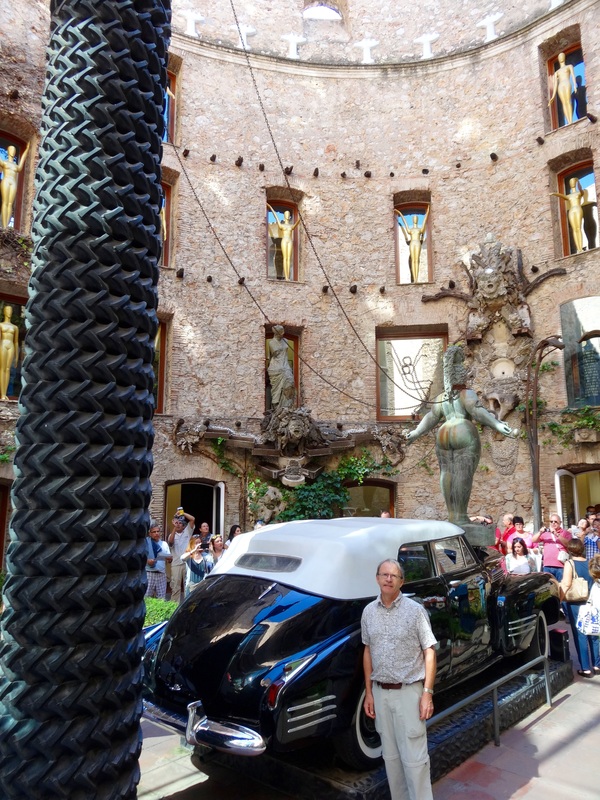 In the central courtyard Dali’s black Cadillac is located under a fountain, although no water was flowing when we were there. I’ve often seen this painting, Soft Self Portrait with Grilled Bacon, in art books. There is no doubt his work is very different, and sometimes hard for me to appreciate. This painting is called ‘The Happy Horse’ although it certainly doesn’t look very happy. The Stage has a huge glass dome that throws its shadows over everything below. The museum is packed with people and there are 22 rooms to visit. 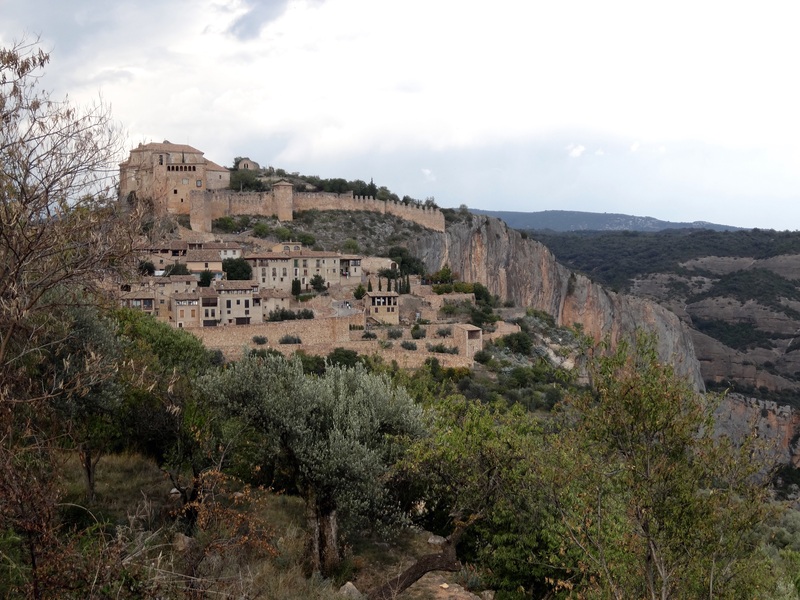 The rooms trace Dali’s artistic progress from the earliest to the last years of his life. 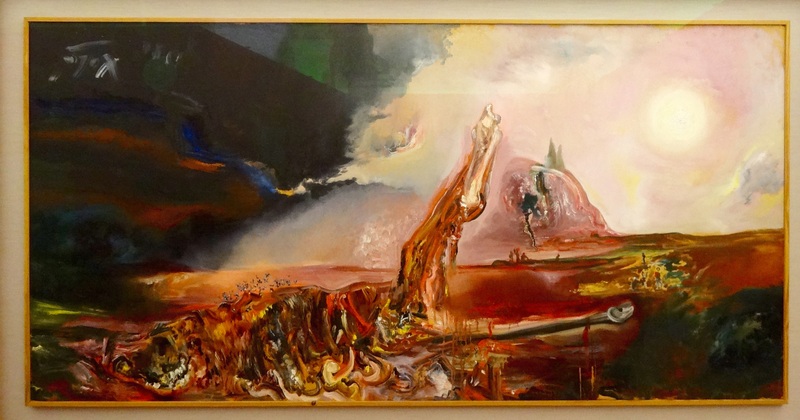 Honestly, it is a bit overwhelming and after visiting this museum we go to another Dali museum next door that contains jewels designed by Dali. 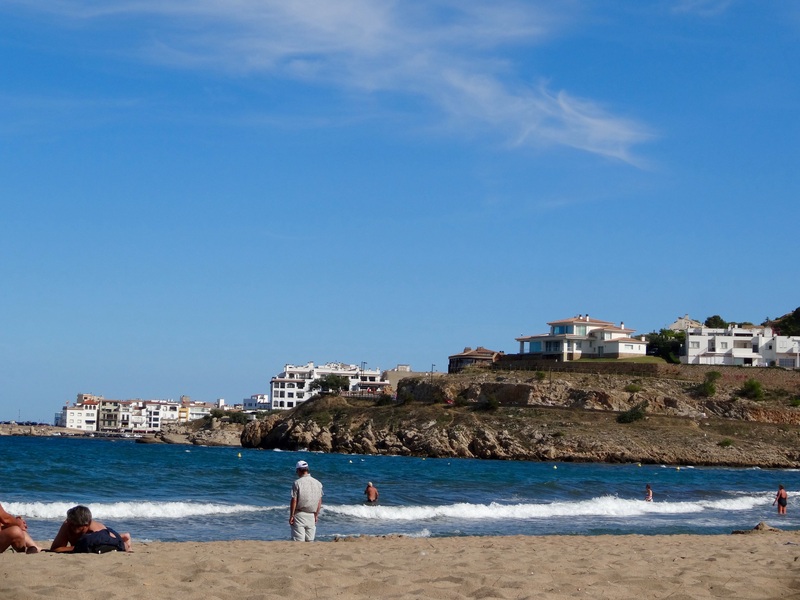 By this time we are ready for a change so we head to L’Escala which is a small resort on the Mediterranean a part of Spain’s Costa Brava, a 200 km coastline of beaches and resorts. We walk along the coast for a while, but the water is quite cold and we are not tempted to get wet. 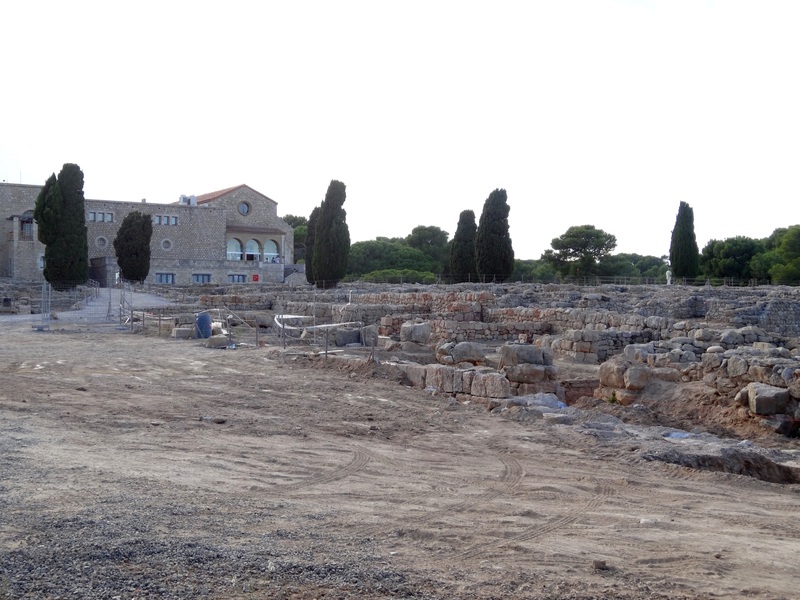 The Empuries are Greco-Roman ruins called that were built between the 7th and 3rd Century B.C. 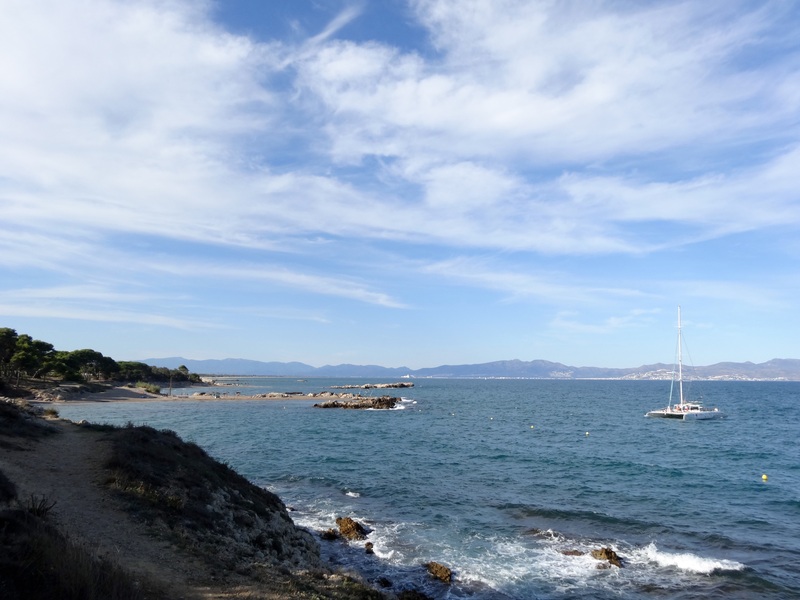 They are right behind the beach area at L’Escala. They looked interesting but the site closed in half an hour and we didn’t think it would be time to see it all and visit the Museum, so we were content to walk along its fence and see what we could see as we made our way back to our car. 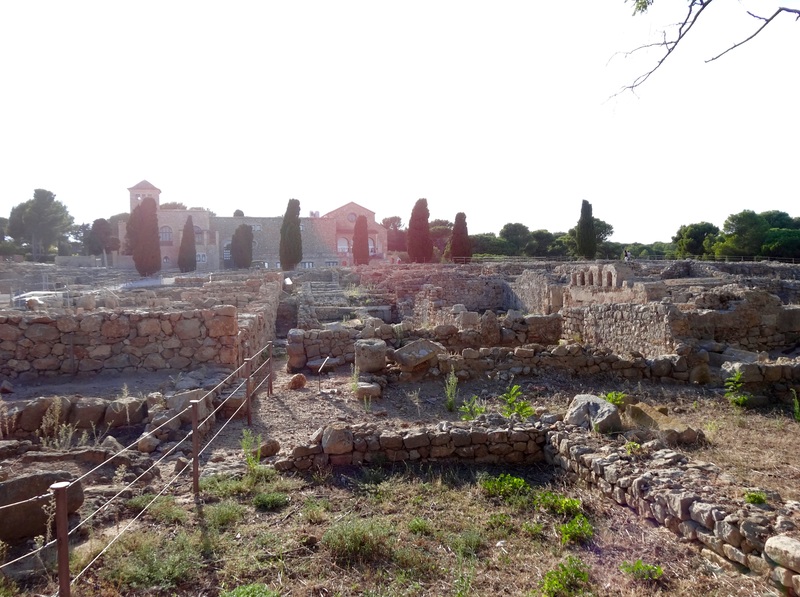 This entry was posted in Art Galleries, Artists, Costa Brava, Historic Buildings, Monuments, Salvador Dali and tagged Art, Spain, Vacation by Trudy. Bookmark the permalink. Trudy, You got that right! The horse couldn’t possibly be too happy! I loved the way the dome cast a shadow. Looking forward to sharing your next adventure. Heading out tonight to see a travel film of the U.S. West Coast. You’re welcome. I would love to hop back to Paris sometime soon….